(Newser) – A white Chicago police officer accused of fatally shooting a black teenager was charged with first-degree murder Tuesday, just a day ahead of a deadline for the city to release a squad-car video of the killing. It's believed to be the first time in city history an on-duty officer has faced such charges, reports the Chicago Sun-Times. 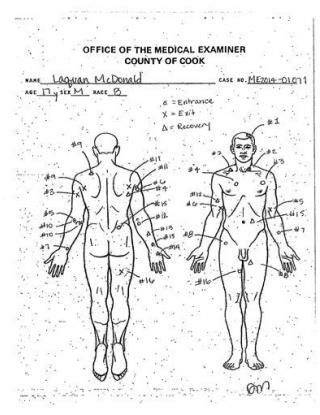 The state's attorney's office says Officer Jason Van Dyke was charged in the Oct. 20, 2014, death of 17-year-old Laquan McDonald. City officials and community leaders have been bracing for the release of the video, fearing an outbreak of unrest and demonstrations similar to those that occurred in Baltimore; Ferguson, Mo. ; and other cities after young black men were slain by police or died in police custody. Before dash cams, cops would get away with murder --- now, they are charged with it.